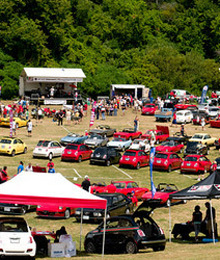 In support of The Safehaven Project for Community Living, Italian Car Day was a huge success. 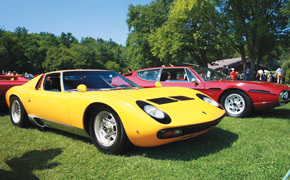 Over 2,000 spectators attended the event and enjoyed hundreds of luxurious Italian automobiles on-site for one of the largest shows of its kind in North America. Spectators were wowed with the inviting balance between the new sports cars and vintage models. 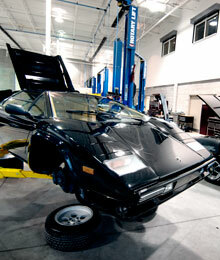 The collection of rare and museum pieces that was displayed at the Engineered Automotive site was most admired. As well, the Ferrari–Maserati display area remained a strong and engaging focal point throughout Italian Car Day. The event raised over $20,000. 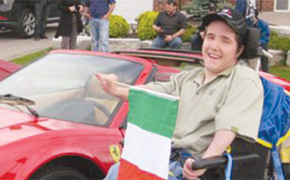 Safehaven donates 96 cents of every dollar to children with multiple disabilities and medical needs, covering costs for outings and activities in the community to enrich their lives. Ahead of the curve in a fast-paced market, Engineered Automotive is an invigorating alternative to traditional dealerships and maintenance centres. With its fresh, forward-looking approach, this seasoned Vaughan-based business is focused on steering consumers in the right direction.